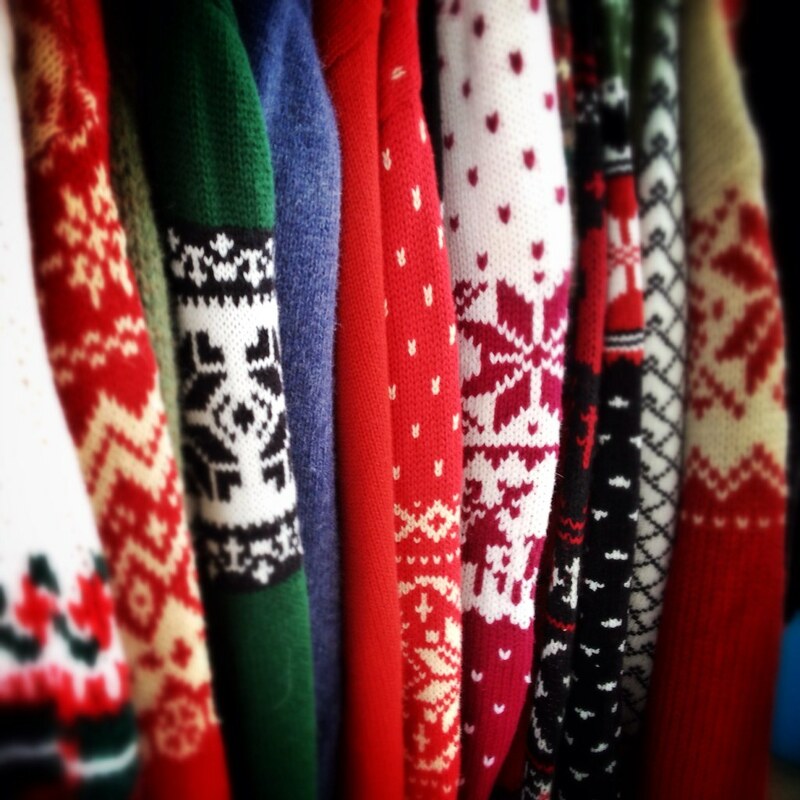 New ugly holiday sweaters are now a multimillion-dollar industry, but the most profoundly hideous among them remain the ancient ones that have survived decades of storage in dusty, moth-ridden closets and attics. If your sweater has made it through the years without getting chewed up, it may likely have been stored alongside cedar wood, which is responsible for its woodsy, slightly camphor-like odor. That smell, scientists will tell you, is the scent of one of nature’s most fragrant pesticides. As far back as the time of the Ancient Greeks, humans were aware that cedar wood kept insects away. In the Iliad, for example, Homer refers to a cedar-lined chest in which Priam’s presumably moth-baiting treasures are kept. Humans continued building chests with cedar, but it wasn’t until the 1920s and 1930s that scientists began to understand what exactly cedar does — and how it does it. There's a scientific reason this works to keep moths away from your sweaters. We now know that cedar’s insect-repelling power lies in the oil that infuses its wood. The oil from certain varieties of true cedar — like that from Cedrus atlantica, which lines the walls of Turkish carpet shops — repels clothes moths from laying their eggs in wool and other fabrics. Adult clothes moths don't eat fabric, but their spawn do. The oil in Cedrus atlantica is made up of a bunch of chemicals called sesquiterpene hydrocarbons, which give off a persistent “dirty-woody, resinous, urinous” aroma, according to a 2002 chemical report in Aromatherapy Times. These compounds, which make up 70 percent of Cedrus atlantica oil and are present in the oil of other cedar species, are likely responsible for most of the moth-deterring. It’s the larvae of the moths, not the adults, that are the real culprits. Adult moths don’t feed on fabric, but they lay their eggs there, and when those eggs hatch, the newborn larvae chomp through old sweaters like holiday cookies. The enterprising parents are particularly drawn to dark, undisturbed areas (they hate the light), which is why they’re often found in attics and closets, among the corners of folded-up clothes. The oil, however, is only effective as long as its scent lasts — which isn’t that long. The oil of Cedrus atlantica, a "true' cedar, has moth-repelling properties. Its moth-repelling effect does depend on the species of cedar and the freshness of the wood, but like all oils, cedarwood oil is volatile — meaning that it evaporates and its scent dissipates over time. If its concentration decreases enough, moths can move back in. Since cedar for moth repelling is usually sold in the form of blocks, balls, cedar hangers, or cedar chests, the only way to keep the cedar scent at high enough concentrations is to buy new products; for chests and closets lined with cedar, sanding the wood can revive its potency, but only to a point. Cedarwood oils, which are distilled from sawdust, are a more easily renewable bet. For the most part, commercial cedarwood oil actually doesn’t come from true cedar but cedar-scented trees like the Eastern ­Red ­Cedar (Juniperus virginiana), which produces a similarly moth-repelling oil (though some have pointed out that it doesn’t have quite the same chemical makeup as true cedars). Moth balls do repel moths, but they are pretty toxic. Mothballs, the synthetic chemical alternative to cedar oil, are effective but largely because they are pure pesticide and can be dangerous for anything — moth, pet, or human — that inhales it at high enough concentrations. They’re pretty much pure naphthalene or paradichlorobenzene, which are potent insecticides that are not worth exposing yourself to, even for the sake of a beloved old sweater. If moths really are a big enough problem for you, it’s probably best to just put in the extra legwork and keep your closets and attics free of moths by regularly vacuuming up the dust and hair that also attracts them. That said, you could argue that an ugly holiday sweater is only made more atrocious by the sorry remains of a larval insect feast.